Not only did steve ’74 and Janice Johnson ’76 Zoradi attend Westmont together, but their son Justin will graduate from the college in May and their son Ryan will enroll in the fall. 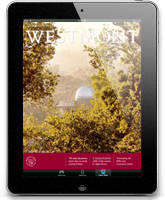 In fact, the Zoradis have more than 15 relatives who went to Westmont. After majoring in both psychology and business, Steve got a master’s degree in counseling from Cal Poly San Luis Obispo and became a licensed marriage and family therapist. Working as a resident assistant at Westmont inspired his interest in counseling. Janice supported him through graduate school, took some time to care for their two boys and then returned to school, eventually earning a master’s degree in counseling from Cal Poly as well to become the second marriage and family therapist in the family. Steve and Janice have practiced together in San Luis Obispo since 1990, staggering their hours so Steve could coach soccer and one parent was always available after school. 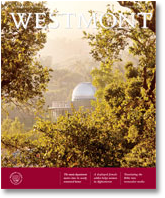 When the Zoradis created a trust last summer, they made a provision for Westmont. “It’s the best use of what we’ve been given,” Janice says. “We see what Westmont has done for our family, and the ripple effect it has in educating people who go out and make a difference in the world.” “We’ve always given to Westmont; it’s part of our family tradition,” Steve adds. For more information about the Wallace Emerson Society, call Nancy Christel in the Office of Planned Giving, (805) 565-6034 or (800) 998-5652.